THOUGHT the Ford Mustang couldn't get any more desirable? Meet the limited-edition Tickford Bathurst '77 Special, a Mustang GT that pays homage to the Ford Falcon XC Hardtops that Allan Moffat and Colin Bond drove to a famous 1-2 finish at the 1977 Bathurst 1000. 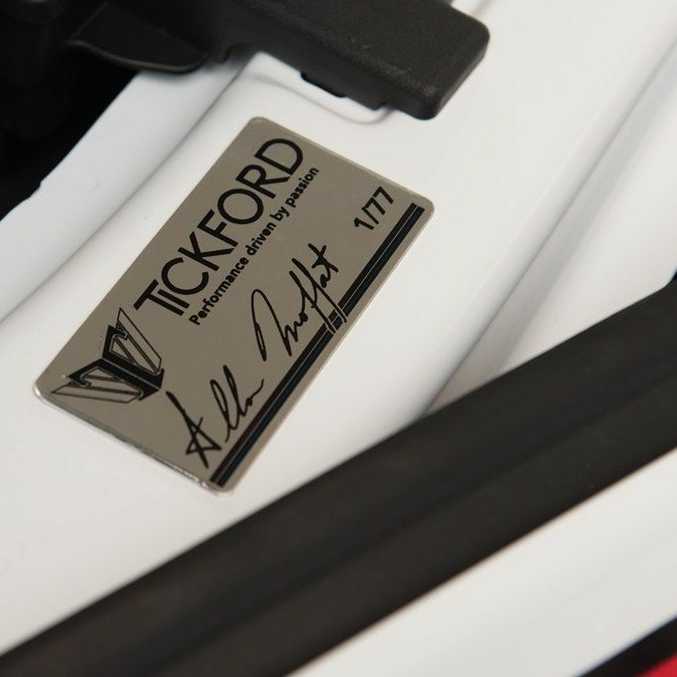 Moffat has partnered with Ford tuner Tickford to produce the models - of which 77 individually numbered examples will be built - to celebrate 40 years since arguably Bathurst's most iconic finish. Full specification and prices are yet to be revealed, but expect these stunning race-inspired Specials to cost a fair chunk over a Mustang GT's $57,490 list price. But you do score some desirable upgrades, plus a nailed-on instant collector's car. 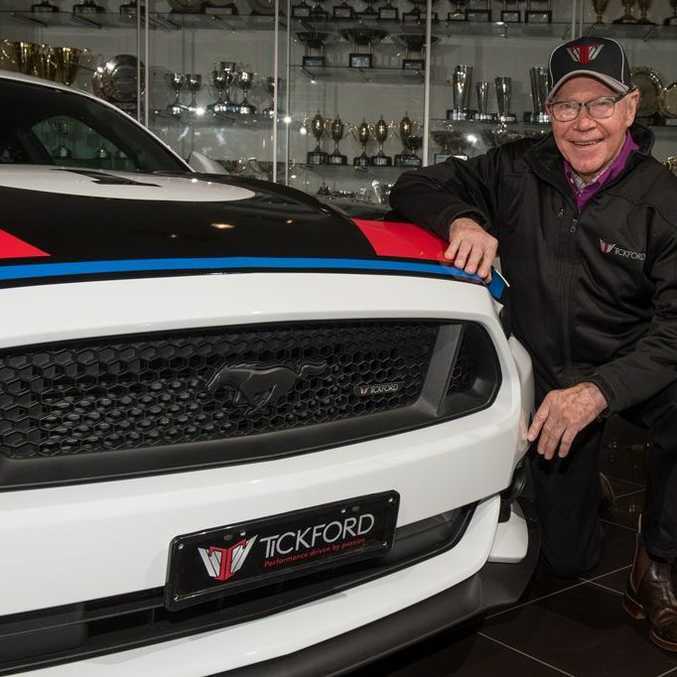 Tickford has a long history of tuning Fords and true to form, it will retune the Mustang GT's 5.0-litre powerplant and fit a high-performance supercharger to "significantly increase the Ford V8's power and torque". With 306kW and 530Nm already on tap from the naturally-aspirated factory Ford unit, Tickford's upgrades will make things even more tyre-smokingly ballistic. Shelby in the USA finds up to 560kW in its Mustang-based supercharged Shelby Super Snake, so it'll be intriguing to see how much extra Tickford can find with its forced induction efforts. The white '77 Specials' most obvious visual enhancement is the red and blue livery, modelled on the Bathurst Falcon XCs. In addition, buyers can option race numbers and a replica rear wing. Tickford's limited information about the cars does include the promise of Tickford 20-inch alloy rims painted in a unique shade of gold, inspired by the triumphant Bathurst race cars of 1977. There'll also be a full OEM-spec leather interior with unique Tickford Bathurst '77 Special treatment, including XC Hardtop red and blue stitching for the bucket seats, a bespoke steering wheel and unique Moffat signature badging. Allan Moffat said it was nice to know the Great Race of 1977 still held such a special place for so many people after 40 years. "The team at Tickford have done a very thorough job coming up with a modern interpretation of my 1977 XC Hardtop," he said. "(The car) looks amazing, produces an unbelievable amount of power and the finish across all areas of the vehicle highlights why the return of Tickford is so important for the Australian automotive industry." 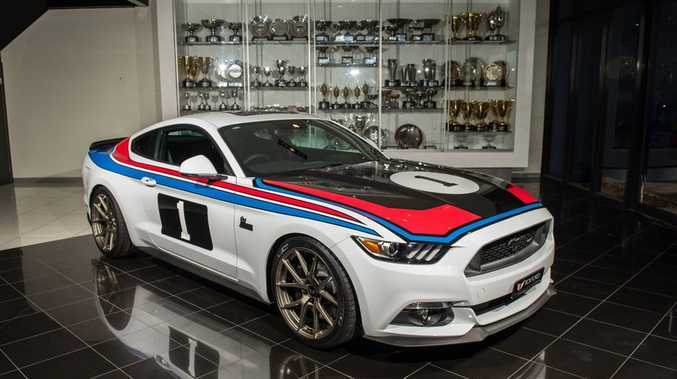 Addressing the fact the tribute car was based on a modern American Mustang rather than a true blue Aussie Ford, he said: "While the Falcon has sadly been consigned to the history books, the Mustang was always one of my favourite cars to race and I had considerable success in them." Expressions of interest are open through Tickford to get hold of one of the 77 and we imagine they won't last long once order books open.